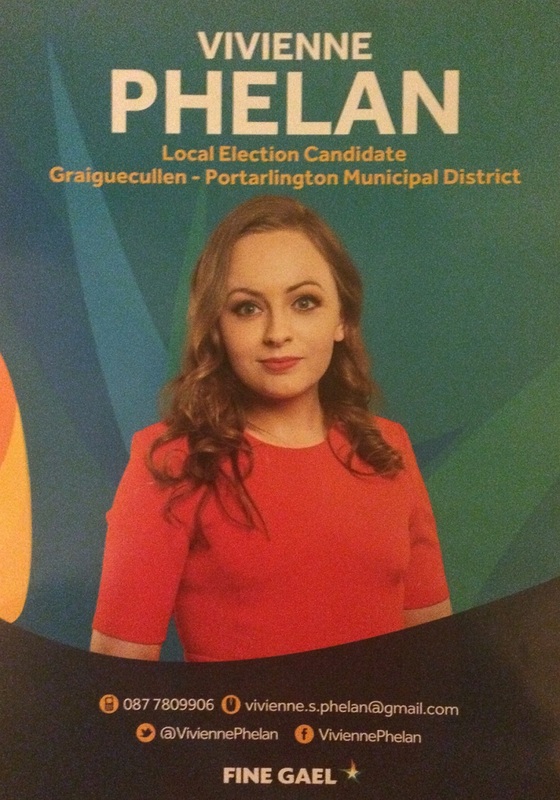 A flyer from Ben Brennan who is running in Graiguecullen-Portarlington for a seat on Laois County Council. An unusual one this from Independent candidate Ray Cribbin who is running in Graiguecullen-Portarlington for a seat on Laois County Council. 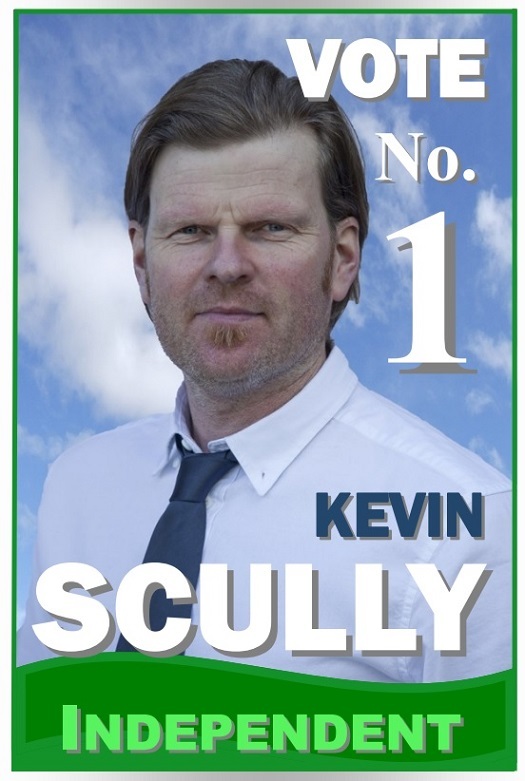 A poster for Kevin Scully who is running as an Independent in Graiguecullen-Portarlington for a seat on Laois County Council. He is a Campaigner on the Pylon / Wind Turbine issue. A flyer for Keith Lennon who is running as an Independent in Graiguecullen Portarlington for a seat on Laois County Council. 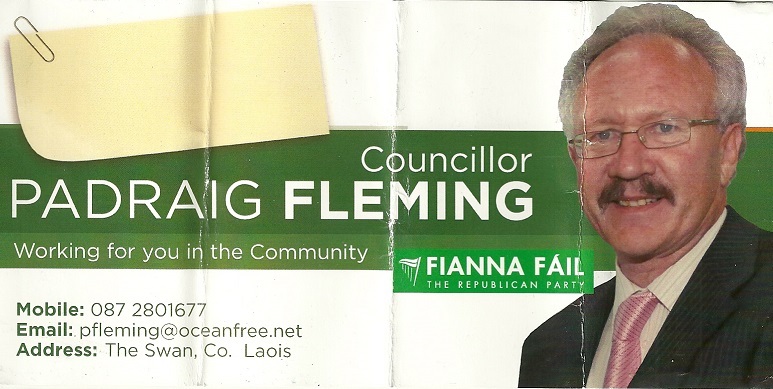 A flyer from Fianna Fail Councillor Padraig Fleming who is running in the Graiguecullen-Portarlington LEA for a seat on Laois County Council.